UNCOVER A WHOLE NEW YOU! Roxy O’Bryan is a well respected provider with extensive training and is highly skilled in the aesthetic field. With over 22 certifications for various aesthetic lasers, she has truly transformed countless individuals over the years to gain back their confidence and youthful appearance. 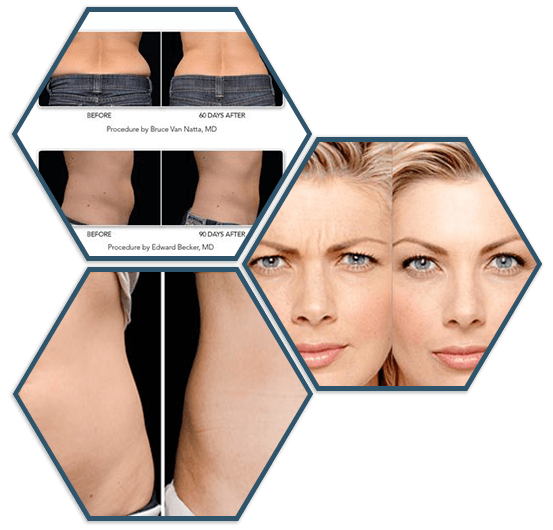 She has done over 8000 coolsculpting treatments on both men and woman to truly sculpt them into the body they have always desired and dreamed about. She knows how to transform your body the way you want using various coolsculpting hand pieces. Rejuvenation on the Rox is your first choice for Coolsculpting, Botox, Juvederm, Voluma and general aesthetic needs. We are a proud member of the Better Business Bureau and pride ourselves on customer service and satisfaction. View some of our clients amazing transformations. Click the link below to visit our photo results gallery. We also offer weekends and after hours by appointment only.